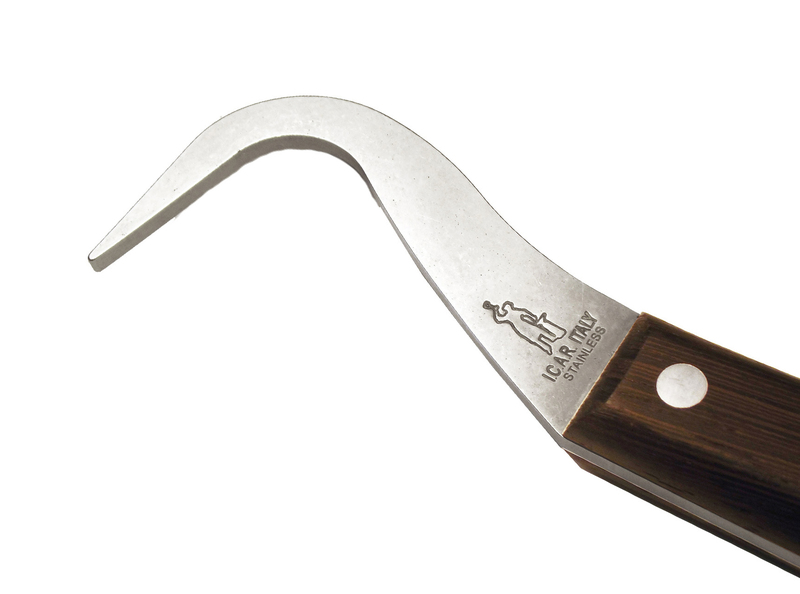 The ICAR Hoof Pick makes picking feet easy. 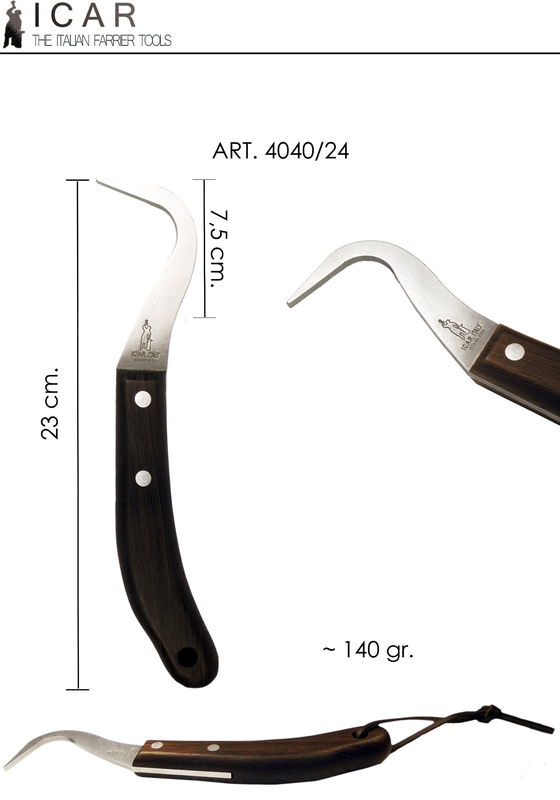 Made with a Stainless Steel pick and mahogany wood handle. Equipped with a lanyard to carry it always with you in case of need.